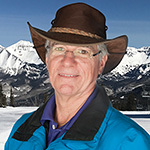 I became a member of the Tampa Bay Snow Skiers & Boarders in the 2009-10 season, traveling to Crested Butte for my first time. That trip was so wonderful I swore I’d never ski without the club again. Since then, I've traveled with the club on about 2 trips a year. Every trip was spectacular. I love skiing and hanging out with others with similar interests, and found that leading a trip enhances my enjoyment. I was an assistant leader for my first time in the 2010-11 season, assisted the next two seasons, and have been a trip leader on one trip each year thereafter. I first tried skiing on a road-trip with friends during a winter break in college. I was fortunate to have several great ski experiences before joining TBSSB, but my trips with the club have been the best. Come travel with us for your best ski trips ever. I am a native Floridian and lifelong resident of St. Petersburg. I am an owner/partner of a law firm and practice over a large part of the state. I have been a member of the club since 1996. 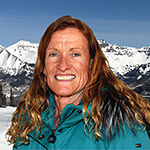 I assisted as a leader for the first time in 1999, to Big Sky. Cheryl Gleaton was the trip leader and I learned more than I can remember from her mentoring me. Since then, I have led many trips for the club, including a very memorable trip to Snowmass with 65 travelers where our outbound flight was canceled the night before we left and our return flight was canceled the day before our return - very unforgettable!! I have served on the board in various capacities. I have served as the Sitzmark Editor, the Catalog Editor, Assistant Treasurer, Treasurer and Secretary. I am currently serving in a second term as Vice-President and am looking forward to another banner year for our club!! I have been skiing with Tampa Bay Snow Skiers and Boarders since 2009 and became an Assistant Trip Leader with the club for the first time in 2017. You will not find a finer group of ski club members and leaders in the country! Every board member and trip leader is committed to making sure that all of our travelers have an outstanding and memorable experience on every trip. Tampa Bay Snow Skiers and Boarders is committed to providing fun, social activities throughout the year, which we encourage all current and new members to attend. As an avid cyclist, I am thrilled the club offers both international Bike and Barge trips and local Bike and Blade outings. I am excited to be a new board member with TBSSB for the 2018-2019 ski season. Please email or call me at 510-510-6286. Our best ideas come from you, our great travelers! I have been a member of TBSSB for over 25yr. I have been on the Board several times in the past. I have been a Leader or Assistant on countless trips over the years, which has given me a chance to meet a lot of GREAT travelers and form some lasting friendships. I appreciate the opportunity to again be on the Board for this Club and help keep TBSSB moving forward. I have been a member of TBSS&B for 12+ years and have served on the board in numerous positions (Catalog Editor, Social Director, Assistant Treasurer, Treasurer and Secretary) and am happy to be returning this season as assistant treasurer. I have had the opportunity to lead ski trips to some wonderful resorts as well as a bike and barge trip to Croatia. During these trips, I have met some wonderful people and have made some great friendships! 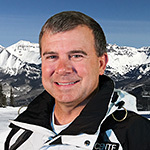 I look forward to serving on the board to provide our travelers with another amazing ski season. This will be my 4th year on the board. I’m returning to the position of Sitzmark Editor this season after being the Catalog/Marketing Director last season. I have done my best to keep you informed of all the club trips, events, and many other items of interest. We all have a desire to make TBSSB the best ski club in the country. Through the 10 years and 15 trips, I have discovered we have dedicated leaders and loyal travellers. The people in our club are special and bring an enthusiasm and spirit that gives me pride in saying that I’m a member. We always seem to succeed in the FUN department!! I believe my organizational skills, negotiating skills, and financial skills can be useful to the club. I bring a strong sense of fairness when dealing with individuals and situations. When making decisions for the club, I promise to always go back to “what is fair and in the best interest of our members” and “what is fair and in the best interest of our club”. I have been a member of the Club since 2004 and have held various positions on the Board and currently serve as a member of the Trip Committee and as the Director of Marketing/Public Relationsfor the Club. 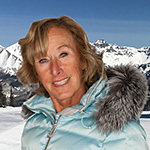 It is a pleasure to be a part of a group that has a passion for ski-non ski activities. 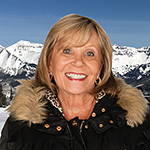 Professionally, I have a psychotherapy practice in North Tampa, and any free time is spent planning future ski trips and hanging with my grandchildren. I'm a new member of the TBSSB board and am going to be the Social and Publicity Director for the club. I'm excited about serving all the members and will plan many great events and activities. I've been a member of the club since 1998 when I was a new traveler. Since then I have gone on many trips with the club and started leading trips as an assistant trip leader and then a trip leader. I've been a leader on trips with 100 travelers three years in a row. What a challenge to learn everyone's names but a delight in meeting so many wonderful friends. I have met lifelong friends through our club and enjoyed many activities like Bike and Blading, Bowling, Golfing, and Baseball games besides skiing. 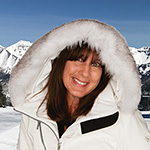 I've lived in Florida for 37 years and own an Interior Design firm, Design Source. I met my fiancée through the club on a ski trip to Lake Tahoe. So you see anything is possible when you have energetic, positive, people who love life and live life to the fullest. That's the description of a TBSSB traveler, and I hope you all can join in the fun. I have been leading trips with the club since 1999. I have had many board positions over the years and am excited about this new opportunity of Trip Committee Chairperson. Being a member of the trip committee for more than 8 years I have helped with planning, pricing and ensuring the trip schedule is right for all our travelers. I have been an active member of TBSS&B for over 10 years and have had the honor to serve as Social Director, Assistant Treasurer, Treasurer, Vice President, President and FSC Rep. 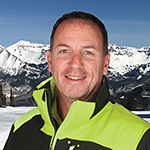 I have had the great opportunity to lead both domestic and international ski trips. I have met many great people and I have made lots of amazing friends! I love to ski and keep active! I am very PROUD to continue to be part of the board and I am looking forward to representing the club as the FSC Delegate for the second year. I have lived in the bay area for over forty years and have been graphic freelance artist for over thirty years. I first learned web design in 1999 which married nicely with my knowledge of graphic software. I got my first taste of what it's like to ski with a group when in 2005 I went on a trip with Bill Jackson's to Big Sky. I loved the concept. I had a blast and didn't want it to stop. When Darry Jackson stopped running trips, due to the economy at the time, I looked for another outlet to continue. I found this group. I became a member of TBSSB in 2009. 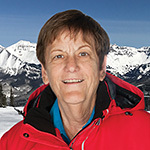 I have been passionate about being part of the TBSSB team, doing the web and leading trips and making tons of new ski buddies. The web keeps me busy year round so I'm involved all the time and I love it! 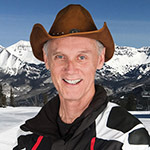 Other things I like to do are inline skating, kayaking and volunteer kayak support at triathlons with Bill Jackson's. Provides leadership to the Club by setting goals and objectives; runs the Board meetings and serves as designated representative of the Club. Chairs the program committee, which is responsible for planning all Club meetings, arranging sponsors and coordinating programs. Responsible for the maintenance and organization of all Club records, including minutes and correspondence, and inventory of Club stationary, office supplies and forms. Issues monthly reports to the Board on expenditures and income for each budget category and trip. Is responsible for the training of accounting procedures for all trip leaders and assistants. Conducts reconciliation's with all trip leaders before and after their trips. Oversees Club office and prepares tax returns. Works with the treasurer on monthly reports to the Board, trip leader training, reconciliation's, maintenance of Club office and preparation of tax returns. Responsible for preparing, printing and distributing the annual catalog of trips and the Club flier "Green Sheets". 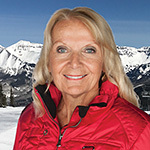 Promotes the Club and the Club’s ski trips through all possible methods, including print and broadcast media, fliers and speaking engagements. Seeks new ways to advertise the Club to increase Club membership. Responsibilities include, establishing the list of trips to be taken by the club, recruiting new trip leaders, training trip leaders, coordination of trips with Travel Agent. A little background goes with this one. Our Club is a member of an organization known as the "Florida Ski Council". This is a group made up of Ski Clubs from around the State of Florida. They hold meetings and set up trips that all participating Clubs attend. This greatly enhances our Club's "Buying Power" in the Skiing Industry. There are too many positive reasons that we are members of the FSC, to list them here. So essentially, the FSC Rep. is the liaison between our Club and the FSC. He is our voting delegate at all FSC meetings.